Multiple reports in recent days state that long-time Phillies minor league skipper is in the running among the team's short list of finalists for their vacant managerial position. With a pedigree in the sport and a history with a majority of the club's talent, Wathan is the right choice for the role. The son of former Kansas City Royals manager John Wathan, Dusty practically grew up around in a dugout and on the diamond. Following his playing career which included time in the majors with the Royals and wrapped up at the Triple-A level for the Phils in 2007, Wathan's managerial got rolling in 2008. At that time he was named the skipper for the short-season Class A Williamsport Crosscutters. The following season, Wathan led Class A Lakewood BlueClaws to their first of back-to-back South Atlantic League titles. 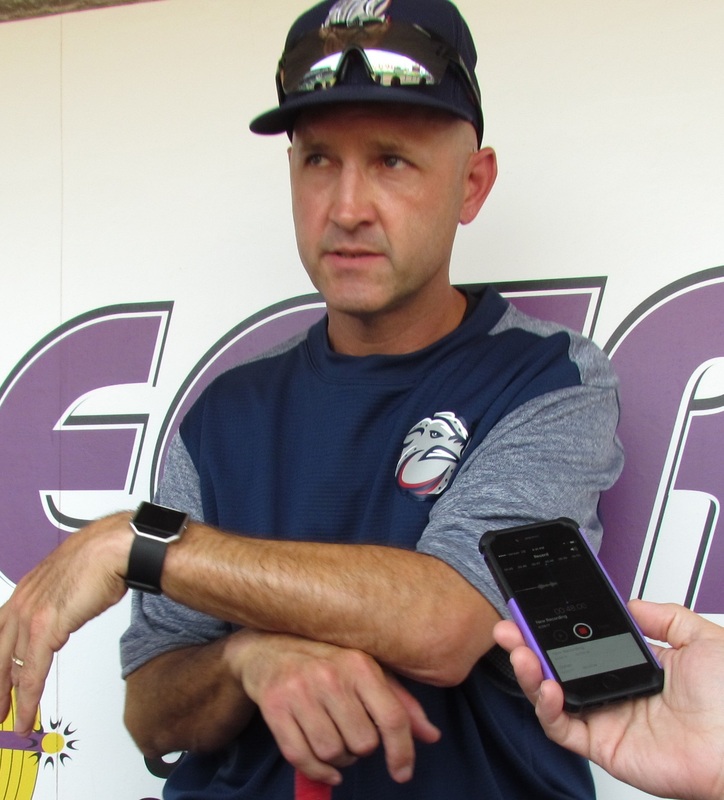 Wathan managed the Class A Advanced Clearwater Threshers in 2010 and 2011, where a collection of talented minor leaguers like current Phillies standout Cesar Hernandez and more pushed through the Florida State League en route to their own big league careers. From 2012 to 2016, Wathan managed the Phils' Double-A Reading team. Wathan would lead that club to the postseason three times and would go down as Reading's all-time leader in managerial wins with 373. During his 2017 campaign, at the helm of the Triple-A Lehigh Valley IronPigs, that club also went to the playoffs. In ten seasons of managing in the minors, Wathan tallied a 711-627. His teams have reached the playoffs five times, including four of the last six years. The last time the Phillies went on a string of success in the big leagues, a man known to be a players' manager, Charlie Manuel, was the guy in charge. It's well known that Manuel got a ringing endorsement from a player with a a lot of clout, slugger Jim Thome, who played for a Manuel-led World Series team in Cleveland in years prior. Wathan is also known as a player's kind of guy. Big leaguers such as Rhys Hoskins, Nick Williams, Aaron Nola, Adam Morgan, Hector Neris, J.P. Crawford, Jorge Alfaro, Nick Pivetta, Zach Eflin, Aaron Altherr, Jake Thompson, Ben Lively, Maikel Franco, Mark Leiter Jr., Andrew Knapp and Tommy Joseph, who may all factor big-time into the Phillies; next wave of success at the top level, have all played for Wathan in the minors. The choice of who will lead the Phils on the field as they head into a new era is critical. It seems ideal to go with a guy that has a track record with the current core of talent in order to keep their winning culture intact. I've heard loads of great feedback over the years from many of those players about Wathan, so if the favor of players is going to have any impact on this decision and their upcoming path, as it did for the Manuel era, the call should be an easy one. Widely considered a prospect in the coaching ranks, Wathan is just as deserving of a promotion to the top level of the sport as the players he has guided toward the spotlight in Philadelphia. Additional notes: Wathan's .531 minor league winning percent would average to an 86-win team in a 162-game season. The National League has featured an 87-win team as its second wild-card entrant in each of the past two seasons. The Phils' active roster made an estimated $37 million last season. The last Phillies playoff team in 2011 made more than $170 million.